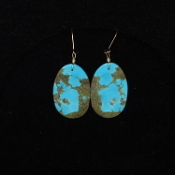 This is locally made beaded Turquoise and Sterling Silver earrings. This item ships free anywhere in the continental USA. 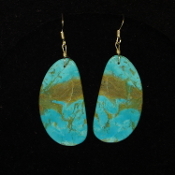 This is a pair of Turquoise earrings. This item ships free anywhere in the continental USA. This pair of Turquoise and Sterling Silver Earrings are 1 1/8 inches long. They are handmade by a local Navajo artist. This item ships free anywhere in the continental USA. 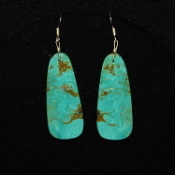 This pair of Turquoise and Sterling Silver Earrings are 1 3/8 inches long. They are handmade by a local Navajo artist. This item ships free anywhere in the continental USA. 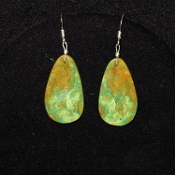 This pair of Turquoise and Sterling Silver Earrings are 1 1/2 inches long. They are handmade by a local Navajo artist. This item ships free anywhere in the continental USA. 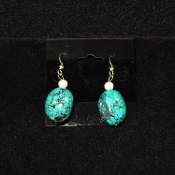 This pair of Turquoise and Sterling Silver Earrings are 1 inch long. They are handmade by a local Navajo artist. This item ships free anywhere in the continental USA. 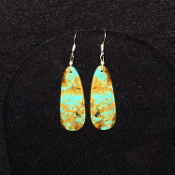 This pair of Turquoise and Sterling Silver Earrings are 1 1/4 inches long. They are handmade by a local Navajo artist. This item ships free anywhere in the continental USA. 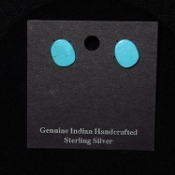 This pair of Turquoise and Sterling Silver Earrings are 7/8 of an inch long. They are handmade by a local Navajo artist. This item ships free anywhere in the continental USA. 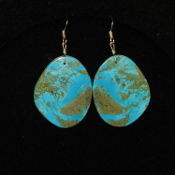 This pair of Turquoise and Sterling Silver Earrings are 3/8 of an inch long. They are handmade by a local Navajo artist. This item ships free anywhere in the continental USA.